× INTERACTION – The party game for family and friends! View cart “INTERACTION – The party game for family and friends!” has been added to your cart. 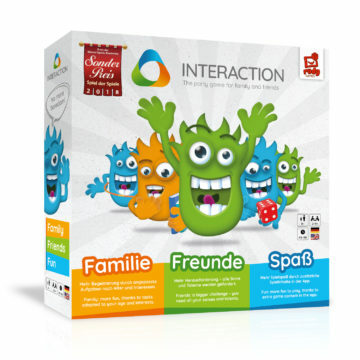 INTERACTION – The party game for family and friends! The interactive and totaly crazy party game. More fun, thanks to tasks adapted to your age and interests. A bigger challenge – you need all your senses and talents. More fun to play, thanks to extra game content in the app.